BELLA FLINCHED at the sound of the whip hitting Cole&apos;s lower stomach. He winced, and let out a small grunt in pain, but had no energy to beg for mercy any longer as a thick, red line appeared across his abdomen. Tears stung Bella&apos;s eyes as she stared down at Cole, who was slowly dying in front of her. She sniffled while Cole blinked up at her. "Do what you have to," he mumbled quietly, making her heart break in half. "Please, please tell my mother I love her when you get out. &apos;Ti amo, Mamma&apos;, please say that to her." Bella&apos;s bottom lip quivered. "&apos;Ti amo, Mamma&apos;?" she repeated in a mere whimper. Cole nodded, his bloodshot eyes closing. Bella didn&apos;t want to do this. But she had no choice, as the silver blade of the knife slowly dragged along the delicate skin of his neck. She slid it beneath his Adam&apos;s Apple, which bobbed against it as she struggled to gain the courage to swipe it across his throat. "Just do it," he begged through gritted teeth. Mommy giggled from beside Bella, her small eyes trained on the blade that played along his gentle flesh. "He needs to die," Mommy cooed, teasing the whip along the edge of his waistband. Cole squirmed at the feeling and shook his head slightly, the leather tormenting his sensitive skin. "Why?" Bella asked quietly. "I thought you loved him, he is your son-"
"I love him too much," Mommy replied gently, her eyes glittering she stared down at him. "He&apos;s my husband, after all." Bella took a deep breath, noticing that Mommy&apos;s disorientation with reality switched on and off. Cole wasn&apos;t safe with Mommy - the best way to end his suffering would be to take him out of his misery, and that comforted Bella. "Goodbye, Cole," Bella said through an unexpected sob, tears flying down her cheeks at a rapid pace as she pressed a little farther down against him. Her fingers were shaking, the damned blade practically vibrating against his skin. She had to do it for her father - she needed to see him. "I- I- can&apos;t," Bella said shakily, trying to blink away her clouded vision and the way her sticky, wet eyelashes stuck together. Her eyes were stinging and her nose was running, but Mommy was clearly growing impatient behind her. "Kill him before I kill you!" Mommy screamed into her ear, startling both Bella and Cole. "Hurry!" Bella closed her eyes and took a deep, trembling breath, allowing her lungs to overflow with the dreaded air of Mommy&apos;s house. Her fingers gripped the blade and she prepared herself, successfully steadying her breath and vision. "Goodbye," she said one last time. "I am so, so, sorry..."
Blood splattered across her face, cascading down her fingers that were slipping around the base of the knife as she held it in Mommy&apos;s neck. Thin, cold fingers latched onto Bella&apos;s neck and she gasped for air, her eyes widening in desperation. She wrapped her fingers around Mommy&apos;s and tried desperately to pry them off, but to no avail, her fingers were stuck on her neck. 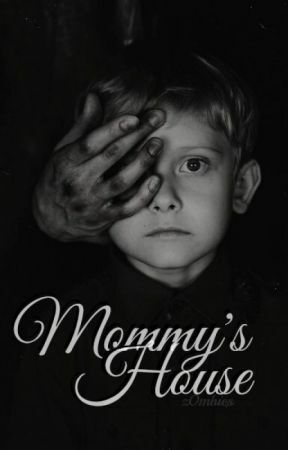 Mommy&apos;s eyes were rolling back in her head and her cracked lips were parted to take in as much air as possible, her yellow teeth gritted together. The sight was absolutely horrifying, and Bella was sure it would be engraved in her mind for the rest of her life.